On March 25 at the Houston Country Club, I’ll sit at a white-cloth table, dine on a salad, a fowl perhaps, and some sort of pie, while drinking a few glasses of wine. This is the annual Great Conversation hosted by the august Honors College at the University of Houston–where I work. Along the way, I’ll discuss the topic of the night, at least for our table, the “Haunting of the American South.” What does a Yankee (Michigan to be specific) know of the South? Well, that will be my topic over the next month-worth of posts as I read intricately-woven short stories, drink bourbon, and through Sean Brock’s Heritage, find the South through my mouth. I’m sure there will be a few film clips, a music video now and then, and a few memories. So, let’s begin with where it all begins (remembering this is a many-world universe). Henri Cartier-Bresson took the above photograph at Rowan Oak in 1947. 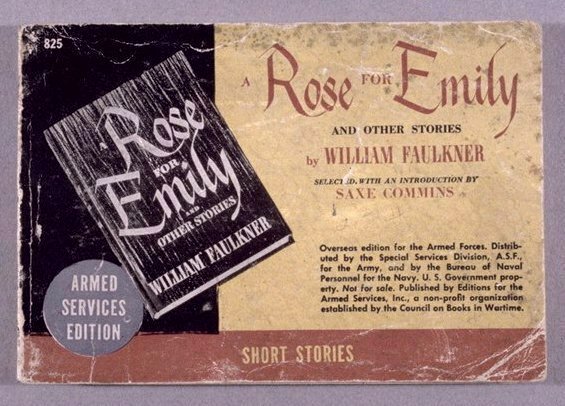 By all accounts, William Faulkner lived in a very haunted world. Now this is true for many a great writer, but Faulkner’s novels and stories drown their characters in days and nights peopled with lost memories wandering old battlefields, run-down plantations, parlors full of family ruin; why, the very sun and soil rise and bury with what was, what could never have been, and what still must run its course. The opening of A Rose For Emily gives us this world filled with a past the present strains to understand. We begin with death in the opening sentences, WHEN Miss Emily Grierson died, our whole town went to her funeral, and by the third paragraph the weight of this town comes into view. A tradition, a duty, and a care builds word by word an Emily Grierson who is much larger than her particular existence. As a tradition she defines time as hers, owed to her and bound to her as a ritual to keep less the world fall apart. I say, I’m a little parched, why don’t we take a break and pour a glass of bourbon. 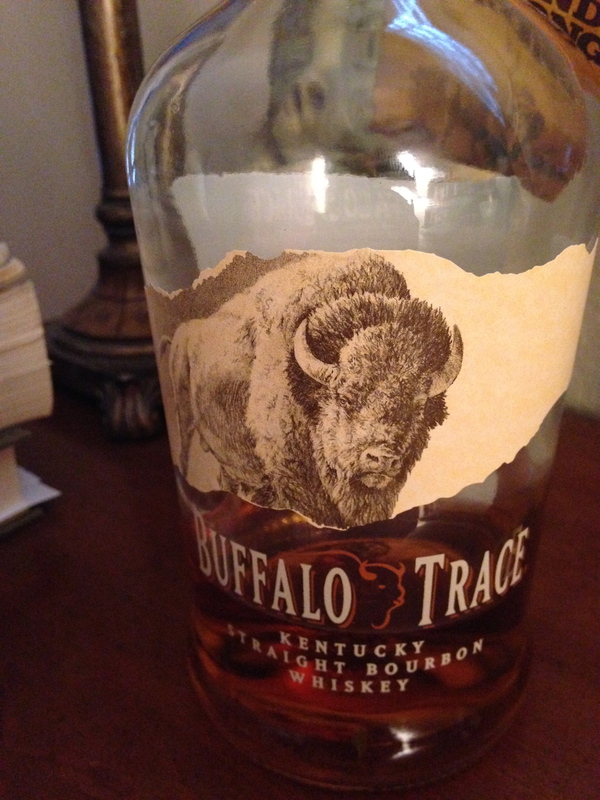 As you can tell, I’ve already spent a considerable amount of time with this bottle of Buffalo Trace. Corn and barley grains, Kentucky limestone water, white oak trees, and charred casks produce a honey and molasses nose with ginger, white pepper and cherry notes; and in the mouth, a syrupy, slightly sour candy cane taste with a hint of cayenne. Oh my. Where was I? Oh yes, duty and care. The town has a duty to Miss Emily out of a story conceived to explain a law passed down through the generations: Miss Emily will not pay tax. This is mythology and one as vague and compelling as the sons of Ouranos and Kronos or the devilishly intricate Holy Trinity. The word is ghostly itself, coming out of an unclear beginning, a word spoken by a patriarch to bind all who follow. What is the relationship between the present and the past? Here, the present, the townsfolk of Jefferson with their more modern ideas must remain bound to the rumors of a spoken word, without any written proof. Death does not elude this binding ether, but becomes a vehicle for its delivery with the death of Emily’s father. 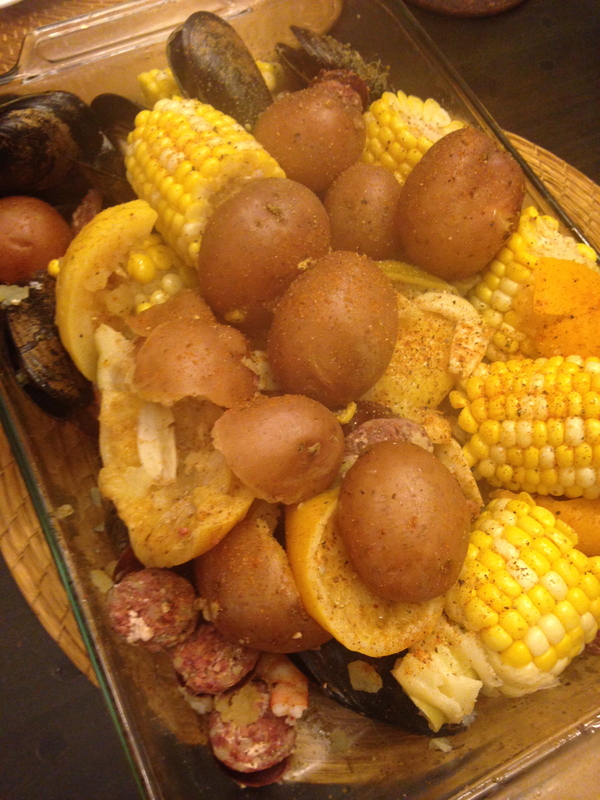 Oh yes, I almost forgot, I’m making a Lowcountry Seafood Boil tonight. One of the things that I’ve learned is how misunderstood Southern cuisine is–it is a lot more complicated than most people realize. 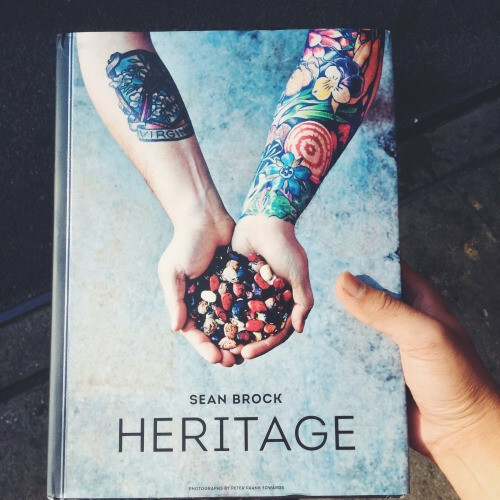 You could spend your entire life studying the cuisines and cultures of the American South. It’s about as diverse and as large as Europe! As I experience other cultures and traditions, I’ve realized how precious the South’s ingredients and traditions are. A type of grain, a way of cooking, knowledge of animals and plants almost disappears, but there are premonitions, rumors, whiffs of Carolina Gold Rice or Ossabaw Hogs and the present lovingly begins to shape itself by an adherence to what once used to be. Unwillingly or willingly, we turn to ghosts to find tradition, duty and care. To the boil! 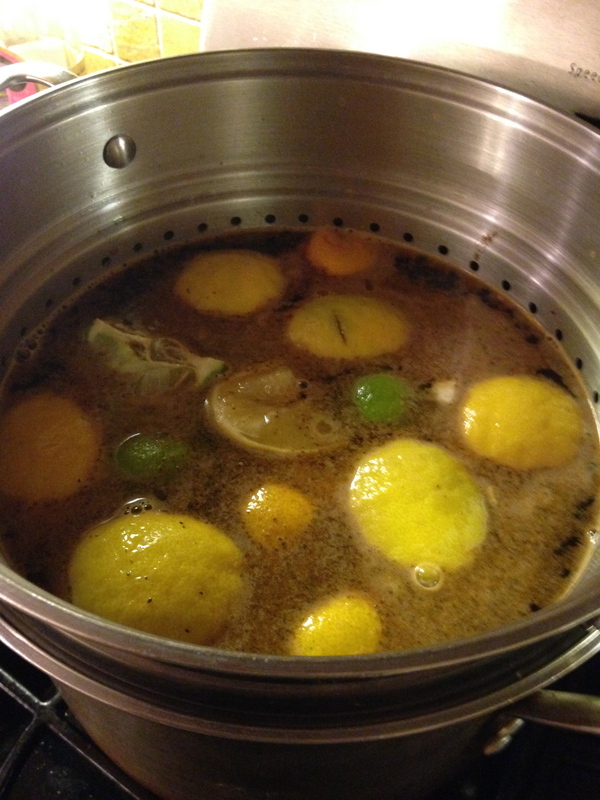 Lemons, garlic and Old Bay Seasoning begin to bubble. 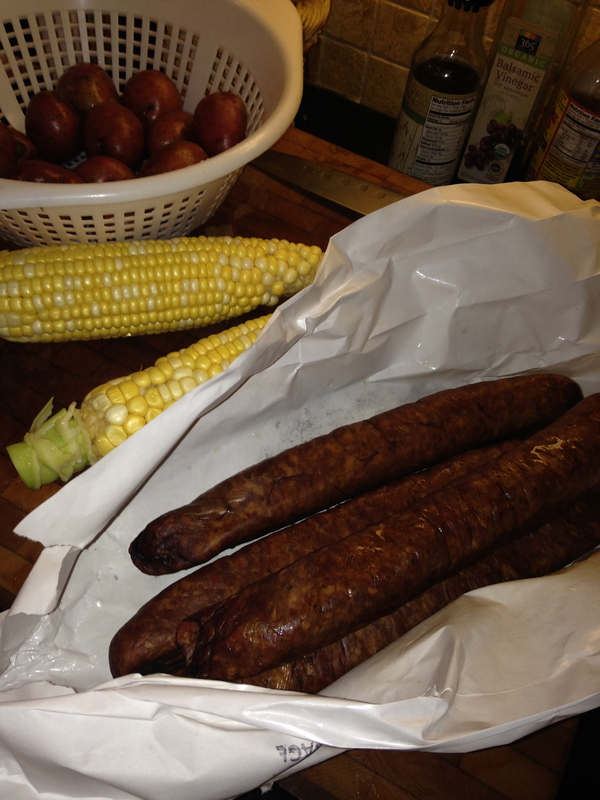 On deck, I have red potatoes, corn and smoked venison sausage. 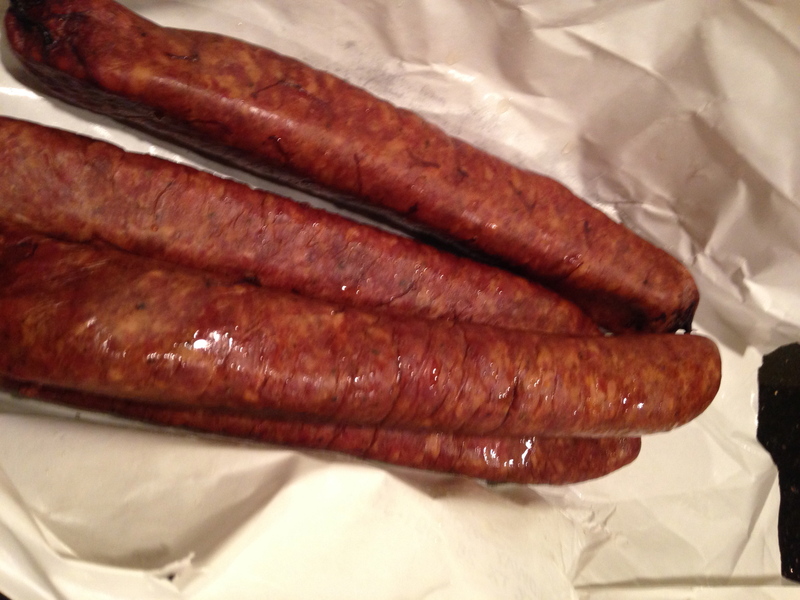 Yes, that’s right, smoked venison sausage. 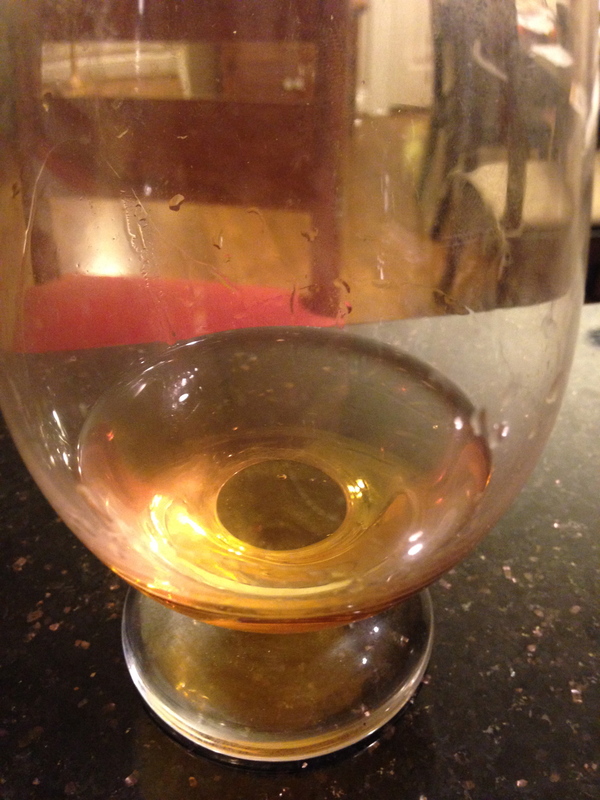 All bubbles along so I think it’s time for another tilt of bourbon. Once the water has been brought to a simmer, the potatoes go in, followed after ten minutes by the sausage, then another ten for the corn and mussels. After Miss Emily has staved off the modern movement to pay taxes, we read of her denying her father’s death, with the authorities of Jefferson having to meet her at the door and beg to dispose of the body. And then, there is that awful smell. Not letting go of the departed, ghosts this story as well. Miss Emily chooses to live with the dead rather than drawing a veil, shutting a door and taking the body out to ground. This, of course, violates a deep belief that the living and the dead need a division, that for each to share space is to violate what it means to be human, violate a sacred distinction. And yet, Miss Emily’s choice is the choice of those who choose to keep the past not only close at hand, but as a preferred bedfellow. 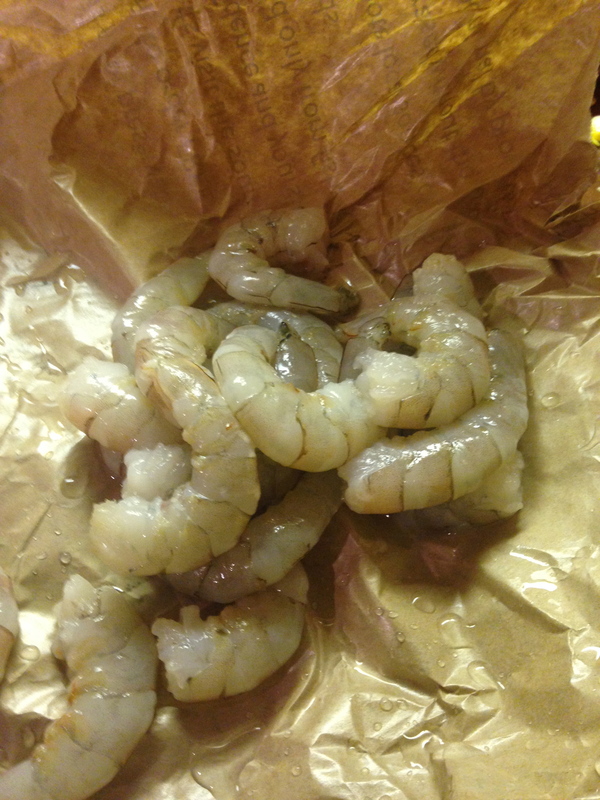 Time for the shrimp, and after a few minutes . . .
A platter full of food awaits. A squeeze of lemon and a sprinkling of Old Bay finishes the deal. Before the family digs in, I’ll let Miss Emily go for now, well before I’ve reached the end of this tale, but I will point out the story within the story that soon appears, something to do with a suitor and arsenic. Boxes within boxes, dolls within dolls, stories within stories–a tradition found throughout the American South, but also one much larger, much older stretching back to the very beginnings of the written word, which of course, cast a veil over an older oral tradition suggesting that whenever a voice begins a story there will always be another story on the tip of the tongue to offer an origin, and so on into infinity. I suppose I might offer a major premise or two–Every story is ghosted by another story, Every recipe is ghosted by another recipe. To the food, and yes I know with the dead nearby, but I’ll leave you with a bit of music from Old Crow Medicine Show. And oh yes, all the ingredients for this meal were sourced from East Texas and the Gulf Coast. Bon Appétit! Another fabulous post. Gosh, I totally want to go to the south now. Yes, though I’m a Midwestern boy, I’m turning Southern meal by meal, drink by drink.